SAC's Mix and Match intercoms allows you to chose the best solution for your entrance. 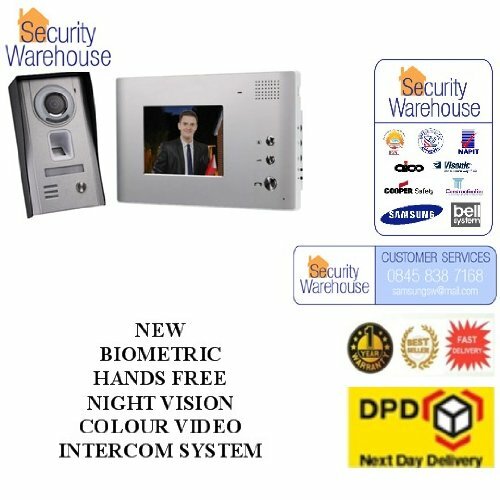 The intercom can be installed by a door, gate or roller shutter. The display is installed inside giving the user full control over the entrance,The display has a button to speak to the intercom and a button to unlock the entrance.The intercom has an output for an electronic lock (Not supplied) controlled by the a button on the display unit inside.Preset family and friends finger prints for instant access.